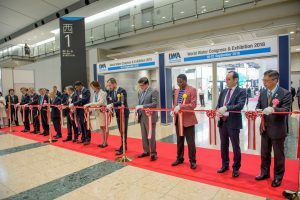 The 2018 IWA World Water Congress & Exhibition concluded on 21 September as a great success. Nearly 10.000 water leaders from governments, utilities, academia, private companies, and international organizations came together in Tokyo, Japan, to debate on the world’s pressing water problems. The International Water Association together with the Japanese Partners are proud to have provided a strategic platform for the key stakeholders within and outside the water sector to discuss and co-create solutions to our global water challenges. As an integrated and key element of the event, the Exhibition brought together 252 global exhibitors, proving once again that the exhibition offers a valuable networking place in the Congress, where exhibitors and delegates exchange solutions and innovations to shape our water future. 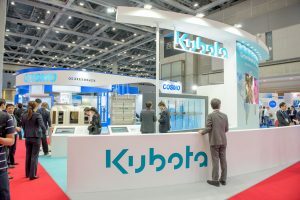 The exhibition presented a full picture of the global water sector: water utilities, governments, consultants, contractors and technology providers presented their contribution to sustainable solutions globally. A short video impression of the IWA #WorldWaterCongress 2018 in Tokyo, Japan. Thanks to all water professionals that used twitter, the #WorldWaterCongress was trending on twitter. Check some of the tweets.